Adults like to get in on the Easter fun too, and many participated in an adult Easter egg hunt Sunday in Chicago's Logan Square neighborhood. 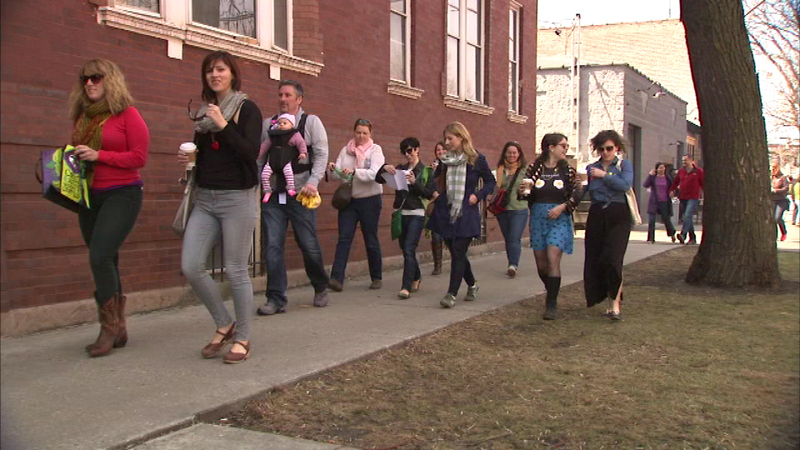 CHICAGO (WLS) -- Adults like to get in on the Easter fun too, and many participated in an adult Easter egg hunt Sunday in Chicago's Logan Square neighborhood. Participants paid $5 to join teams of two on a search for eggs and the top gatherers won gift baskets. Sunday's holiday event benefited Big Brothers Big Sisters.